First, let us tell you what we cannot do. ShopSafe is a private company with no direct relationship with the merchants we list. We cannot instruct a listed merchant to do anything at all. What we can do is remove a merchant from our listings. We are quite prepared to do this if we consider that a ShopSafe-listed merchant has not conducted a transaction with you in a fair, honest and business-like manner. A listing on a ShopSafe website is valued by our listed merchants. We accept less than 40% of all applications for listing. Almost all merchants want to see that their clients are satisfied with their purchases. It is simply good business. On many occasions, after-sales difficulties arise when communication breaks down. If you are having difficulty communicating with a merchant who is listed on ShopSafe, all you have to do is ask us and we will do our best to contact that merchant on your behalf. If we agree with you and believe your complaint is reasonable, we will attempt to secure a satisfactory resolution for you. We make no warranties of any kind in this regard but we will do our best to achieve a satisfactory outcome for you. While it may be a good thing to know that ShopSafe is behind you when you make a purchase from a ShopSafe-listed merchant, there are some things that you should do yourself to avoid a mishap in the first place. Always ensure that you know what you are buying and that you do want the goods. Find out what the shipping costs are before you commit to purchase. Calculate the full cost including shipping of the goods you are buying. Find out how long it will take for the goods to be delivered. Ensure that the delivery address you provide is valid and that somebody will be available to receive the goods. Find out the shipping method that is proposed and understand whose responsibility it is to insure the goods in transit. Save all correspondence with the merchant and make a diary note of phone calls including who you spoke to. Check your credit card transactions to ensure that you have been charged for the goods at the correct price. Save and print the emailed or published invoice. It is important to have this to verify your transaction. Even with the best of intentions, things can still go wrong. You should first approach your merchant for redress of any issues. If you cannot contact your merchant or if you think the merchant's response has been unreasonable, you can contact us. Please include as much information as you can to assist us to understand your issue. We cannot promise anything but we will do the best that we can. You can view today's Alexa worldwide traffic rankings for ShopSafe. HISTORY & WHO'S BEHIND SHOPSAFE? shopsafe.cc was launched in January 1999 and re-designed in May 2000 to make it even easier for the public to find safe shopping web sites. In the United Kingdom, the company behind ShopSafe is Edward Robertson LTD. Established in 1996 they are experts in setting up online stores, and have used their knowledge to put together the ShopSafe service. You can go to the Edward Robertson web site. 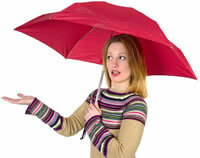 Other sites in the Shopsafe Group are owned and operated by ShopSafe Pty Ltd TA The ShopSafe Trust. In Australia, ShopSafe.com.au was launched as a local service in July 1998 and relaunched as a multi-site global service in 2002 with cooperation and assistance from ShopSafe UK. ShopSafe.com has been on the web since 1998 serving both the UK and Australia. 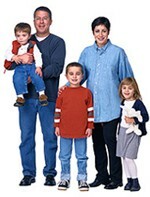 In early 2003, a transition was begun to move the focus of Shopsafe.com to serve consumers in the USA. Shopsafe.co.nz was launched in October 2003 to serve consumers in New Zealand. Online ordering and security of credit card payment transactions. Delivery prices and information that is clearly displayed. A wide range of products, suitable for "high street" consumers. Sites that are based in locally (and display local contact details) and deliver locally. Prominent display of customer service information. Good design, making the site quick to load and easy to use. ShopSafe is ShopSafe Pty. Ltd. acting for The ShopSafe Trust. ShopSafe is committed to protecting your privacy and the privacy of any personal information provided to us. ShopSafe complies with the Privacy Act 1988 (Cth) and the National Privacy Principles. To enable us to provide some of our services to you, we need to collect personal information from you – usually your name and email address. You may also choose to tell us your preferences and country of origin when searching ShopSafe web sites. You may also choose to provide us with your mobile phone number. Our electronic records are maintained in password protected archives. Our records are maintained so we can send you details of promotions or services, in which you may be interested. However, each time we send you something you have the opportunity to request that no further information be sent to you. Your personal information will then be deleted from our records. We've all heard how great shopping on the Internet can be, that you can get things far cheaper, as the shops don't have to pay expensive overheads. How convenient it is - you can shop when you want to. How it's easy to compare prices, and how there are no queues and plenty of parking online! But before you start shopping there are a number of questions you have to ask yourself. Do you trust the vendor? Do they have a 'secure' server? What are their delivery times? Can you contact them if the order goes wrong? Most shopping sites use some sort of shopping cart - this is your virtual trolley into which you can place items, then take them to the checkout when you want to pay. The checkout must be in a secure server in order for your transaction to be secure. How Do I Know I'm in a Secure Server? When you go into a secure server the key or lock in the bottom of your browser will appear locked or highlighted. The address of the web site will also change from http://www... to https://www... signifying that the site is secure. If none of this happens, then this is not a secure server - don't enter your credit card details. Don't be afraid to email the vendor and ask them a few questions to put your mind at rest! Always print out your order confirmation. Pay by Credit Card. If something goes wrong you can have a credit card transaction reversed in legitimate circumstances. Order more than just one item at a time to save on delivery costs. Try and get your goods delivered at a time when you will be there, otherwise your package might get left with the neighbours from hell! Don't get carried away and spend too much! You can get some good advice from your State's Office of Fair Trading. Is ShopSafe USA the Online Shopping Site you are looking for? All else failed? Let us help. If you want to see more here, please e-mail us. Please do not change the subject line of your email. If the subject line does not contain "Add to ShopSafe Online Shopping" it will not be read. Please email @shopsafe.cc.